Deputy head of Revolutionary Guards says that if Europe threatens Iran, it will increase the range of its missiles. 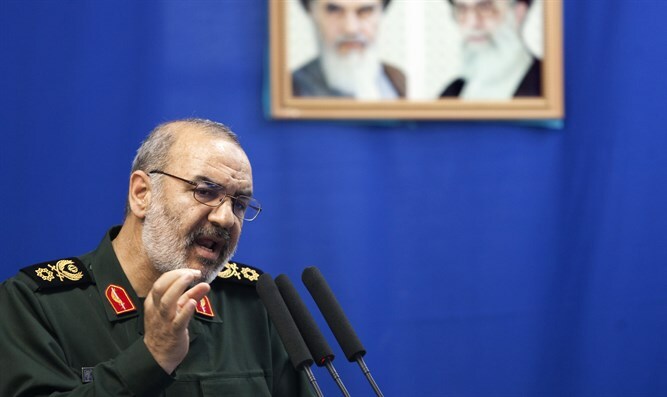 The deputy head of Iran’s Revolutionary Guards, Brigadier General Hossein Salami, warned Europe on Saturday that if it threatens Tehran, the Guards will increase the range of missiles to above 2000 kilometers. “If we have kept the range of our missiles to 2000 kilometers, it’s not due to lack of technology. … We are following a strategic doctrine,” Salami said, according to the Reuters news agency, which cited a report in Iranian media. “So far we have felt that Europe is not a threat, so we did not increase the range of our missiles. But if Europe wants to turn into a threat, we will increase the range of our missiles,” he added. In addition to its nuclear aspirations, Iran’s ballistic missile program remains a concern as well. The Islamic Republic has several times test-fired ballistic missiles in recent months, raising the ire of the West. The United States has already imposed sanctions on Iran, saying its missile tests violate UN resolutions. Iranian President Hassan Rouhani has stressed that Iran will continue to produce missiles for its defense and does not consider that a violation of international agreements. Salami’s comments follow recent remarks by French President Emmanuel Macron, who expressed concern over Iran’s ballistic missile program, saying it was “very worrying” and adding he would not rule out new sanctions over Iran because of this program. A recent report indicated that Iranian Supreme Leader Ayatollah Ali Khamenei had restrictedthe range of ballistic missiles manufactured in the country to 2,000 kilometers (1,240 miles). The restriction limits the missiles’ reach to only regional Mideast targets, thus not affecting Europe but threatening Israel and American military bases in the region.